From June 19, PPP investment projects will be implemented according to Decree 63/2018/ND-CP (Decree 63). This decree prescribes the fields, conditions, order and procedures for investment in the form of public-private partnership (PPP). Decree 63 was signed by the Prime Minister on May 4, replacing Decree 15 effective from April 10, 2015. After more than three years of implementation, Decree 15 has created a unified legal framework to attract private investment in infrastructure in line with international practices. However, to date, according to Deputy Minister of Planning and Investment Vu Dai Thang, as quoted by baodautu.vn, almost no PPP project in any sense under Decree 15 was implemented. The projects that have been developed and operated in the past period are regulated by the old legal framework set out in Decree 108 of 2009. Projects implemented in accordance with Decree 15 are still in the preparation stage of investment. The new regulation is expected to remove difficulties and obstacles arising in the implementation of PPP projects in the past time, vigorously promoting this form of investment in the future. One of the most important changes brought about by Decree 63 concerns the equity capital of investors in PPP projects. Accordingly, the investor is responsible for contributing equity capital and raising capital from other lawful sources to carry out the project under the signed project contract. 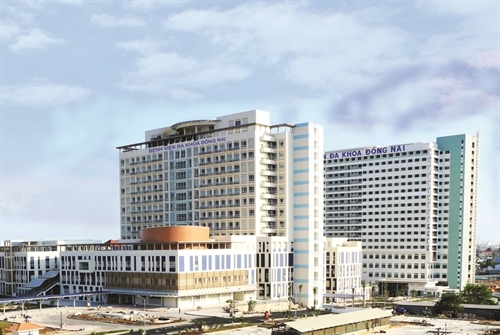 In particular, the equity capital ratio of investors will be determined as follows: For projects with total investment of up to VND 1.5 trillion, the ratio of equity capital of investors must not be lower than 20 percent of total investment; for projects with total investment of over VND 1.5 trillion, the ratio of equity capital will be determined on the following principle: For the capital amount up to VND 1.5 trillion, the equity capital ratio must not be lower than 20 percent; for the capital amount in excess of VND 1.5 trillion, the equity capital ratio must not be lower than 10 percent. Under Decree 15, the required equity capital is at least 15 percent for projects with total investment of up to VND 1.5 trillion, and at least 10 percent for projects with total investment of over VND 1.5 trillion. Reviewing the practical implementation of BOT projects from 2011 to 2015, it can be seen that the poor financial capacity of investors is one of the weaknesses affecting the quality and progress of the projects. According to information from the State Bank of Vietnam, banks’ capital poured into BOT projects in this period accounted for 85-90 percent of the total investment capital of these projects. This means that the equity capital of BOT investors accounted for only 10-11 percent of the total investment of the projects. The requirement on higher equity capital to be contributed by investors to the projects will ensure that only investors that have sufficient financial resources can participate in implementing the projects. It also helps stabilize the credit system in the country when the credit limit has been reached as warned by the State Bank. According to Nguyen Danh Huy, head of the PPP Department, the Ministry of Transport, in principle, the higher the equity capital ratio is, the more easily credit institutions will lend capital for the project. But raising the equity capital ratio also leads to an increase in the cost of investment capital, as the return on equity is often higher than bank interest. Therefore, it is reasonable to set a minimum equity ratio of 20 percent, considering the possibility of acquiring credit and the capital cost of the projects. Decree 63 also allows investors to contribute equity capital according to a schedule as agreed in the contract, helping reduce the financial burden for investors and waste of resources. Pham Van Khoi, Chairman of Phuong Thanh Company, which contributed capital at Phap Van - Cau Gie BOT Joint Stock Company, told Dau Tu (Investment) newspaper on May 14 that according to the old regulations his company had to fully contribute over VND 1 trillion in equity capital just three months after signing the contract, although the capital needs were spread over three years of implementation. Additionally, the new decree expands the sources of funding used for the State’s participation in project implementation. In addition to state budget funds, funds from government bonds and local municipal bonds, ODA and concessional loans from foreign donors, according to the new rules, the State may use other resources to support PPP investors, such as the value of land use rights, public assets, infrastructure assets, the right to operate works or provide services. Decree 63 also regulates in detail the State’s participation in PPP projects. The state-contributed funding must be used to support the construction of works to ensure financial viability of the projects. Such funding will be allocated from public investment funds in accordance with the law on public investment or from public assets in accordance with the law on the management and use of public assets. Particularly, and the contributed funding of the State allocated from public investment sources will not be used for Build-Transfer projects. The funding amount in support of the construction of auxiliary works, compensation, ground clearance and resettlement, which is allocated from public investment funds, will not be included in the total investment to determine the equity capital ratio. Another remarkable new point in Decree 63 is the simplification of procedures and improvement of project efficiency and management effectiveness, thus opening up more opportunities for foreign investors. The Decree stipulates more clearly the competence, order and procedures for approving investment policy for PPP projects, with or without public investment funds, in accordance with the law on public investment. Specifically, the National Assembly will decide to invest in national important projects (1). The Prime Minister will decide on investment policy for the following projects: group-A projects using 30 percent or more of central budget funds or less than 30 percent but over VND 300 billion in the total investment of the projects; group-A projects that apply BT contracts (2). Ministers and heads of ministerial-level agencies or government-attached agencies will decide on investment policy for projects not falling into the above-mentioned cases (1) and (2). Provincial-level People’s Councils will decide on investment policy for the following projects: group-A projects not falling into the case (2) above; and group B-projects using public investment funds; and group-B projects apply BT contracts (3). Provincial-level People’s Committees will decide on investment policy for projects other than those falling in the cases (1), (2) and (3) above. The project implementation process will involve the following stages: making and appraising the pre-feasibility study report; deciding on investment policy and announcing the project; making, appraising and approving the feasibility study report; selecting investors; negotiating and setting up a project enterprise, signing a project contract; and finally carrying out the project, finalizing financial matters and transferring the project. Decree 63 also clearly states that the stages of making and appraising the pre-feasibility study report and deciding on investment policy are not required for group-C projects, but the projects must be announced them after their feasibility study reports are approved. Based on the practical requirements of the PPP projects, competent state authorities will decide on the selection of investors through bidding after the technical design and cost estimate are approved. Ministries and ministerial-level agencies will issue guidelines on the implementation of this content within the scope of their management. The new decree spells out more clearly the procedures for the implementation of high-tech PPP projects with the aim of creating flexibility in the implementation process and cutting time and costs during the project formulation phase. Taking into account the specific nature of PPP projects, Decree 63 has simplified many procedures, shortening the investment preparation phase. In particular, the procedure for issuing investment registration certificates has been abolished in line with international regulations that the PPP contract is the most important legal basis of the project, but not the investment registration certificate. Under Decree 15, the Ministry of Planning and Investment issues investment registration certificates for important national PPP projects, projects of ministries and sectors, and projects located in two or more provinces; provincial-level People’s Committees issue investment registration certificates for group-A, -B and -C projects in their respective localities; the issuance of this certificate takes 25 days, which slows down the implementation progress of the project. Decree 63 also provides for disclosure of project contract information to ensure transparency and to enable state management agencies to manage information and databases on PPP projects.